Dissatisfied franchisees are avoiding banks and embracing other options. It is not cheap to set up a new franchise store, and most entrepreneurs would need to borrow money in order to start up their favorite quick service restaurant (QSR) such as a frozen yoghurt shop or Mexican restaurant. Banks have traditionally filled in the role of a provider for these entrepreneurs, extending credit to those they think can become successful and pay back the loan plus interest premium. But a few franchise owners argue that banks have become too conservative with their franchisee approvals to the point of choking entrepreneurial dreams before they even begin. “The banking sector has fundamentally failed franchising and small to medium businesses in Australia. Despite their advertising to the contrary, they are not lending to these enterprises in Australia and this is holding back Australian growth in this industry,” says Warren Reynolds, executive chairman at Muzz Buzz. Meanwhile, in the United States, crowdsourced financing is also being touted as a more convenient route for entrepreneurs that may not necessarily be approved or choose not to engage in the more formal financing application required by banks. Instead of asking banks for money, franchisees approach public backers and individual investors to collectively back the franchise. While the crowdsourced financing trend has been flouring stateside, Australian franchise owners point out that the local startup scene has not warmed up to this approach. “I'm not too sure about crowdfunding for franchises. 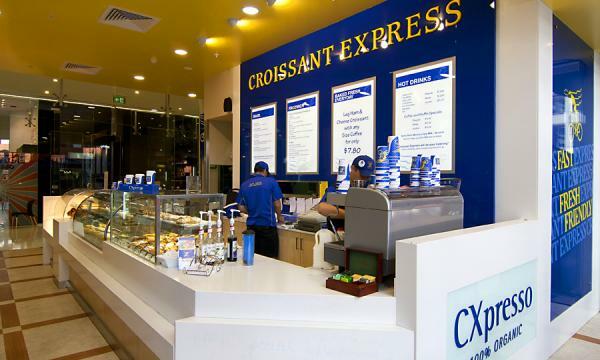 If the franchise system you are planning to invest in is strong enough, you shouldn't have to resort to crowd funding,” says Neil Soares, CEO at Croissant Express. “I have not seen evidence of crowd sourced funding for new stores but that is not to say that it will not happen,” says Mark Buckland, Managing Director at Healthy Habits. Banks still remain as the primary source of funding for most new franchisees, says Serge Infanti, managing director at Foodco Group, operators of Jamaica Blue and Muffin Break. Say what you will about banks, but Infanti says that traditional banking methods work because of how it manages risk for all parties involved. Meanwhile, Soares argues that banks are more inclined to fund franchises than other startup businesses due to their rising success rates. Soares believes franchisees that hope to secure bank funding need to provide accurate financial and business intelligence to lenders, which is where franchisors need to step up the most. “For example, our new POS system downloads information directly into Xero and other accounting packages which makes it much easier for franchisees to have a handle on the financial performance of their business,” says Soares. Looking into the future, Plarre says there is no longer a lack of entrepreneurs willing to take the plunge and open a franchise given ubiquitous Internet access that helps educate people on how to set up and run their own business. Increasingly, the greater success factor will depend on the proactiveness and creativity of franchisors.